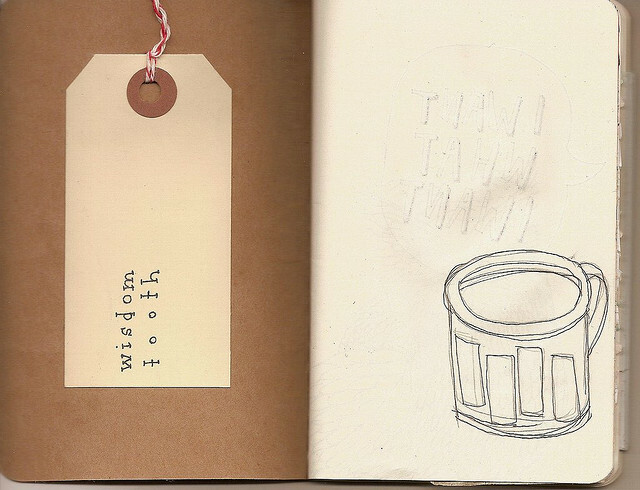 BRAIN WAVES is the current cover photo on the Recession Art website, an unexpected surprise! 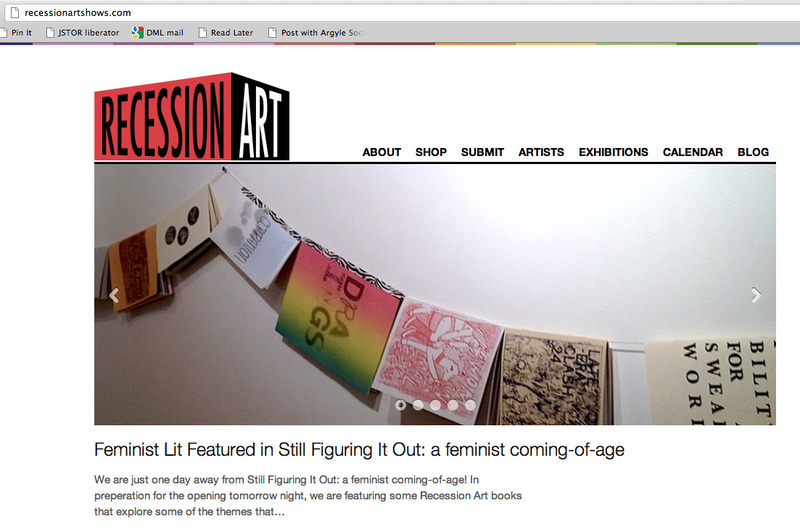 And news to us is that one of our zines (Caroline Paquita's Womanimalistic) is featured as a feminist lit pick for the upcoming show at Recession Art CultureFix, Still Figuring it Out: a feminist coming of age, curated by RAC's own Ana Cecilia Alvarez. Which is exciting. Additionally, The Wall Street Journal interviewed me about zine culture, as well as the Brooklyn College Library Zine Collection's grand unveiling last Tuesday, with the debut of Fold, Staple, Share. My comments didn't make it into the article, but For the Birds' zine So You Want to Start a Feminist Collective... did grace the cover of the Greater New York section. At the Fold, Staple, Share opening, I read a newly edited version of "This is a Thank You Song," which originated as a piece on this blog. I plan on sharing the new version of that article here soon, as it focuses even more on the idea of creating safer spaces.